Discover the magical fairy-tale that is The Itrian Valley. 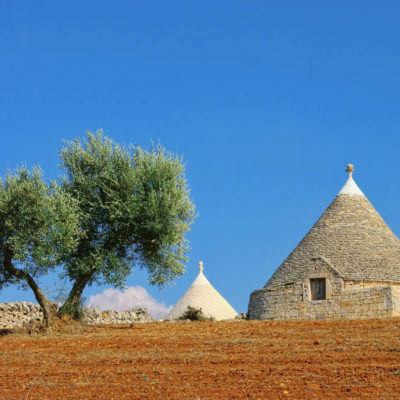 Trulli (traditional drystone huts) enclosed by vineyards and olive groves stretch as far as the eye can see, in fields of Olive Trees and dry stone walls that echo the generations before. 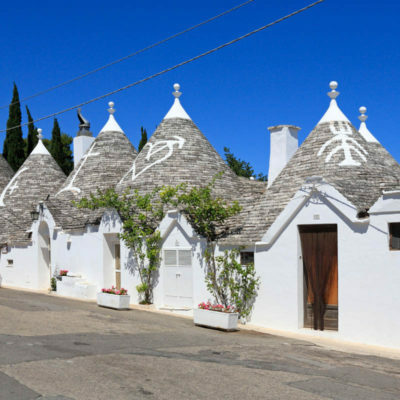 Meander through villages like Alberobello, Locorotondo, Martina Franca and Cisternino. 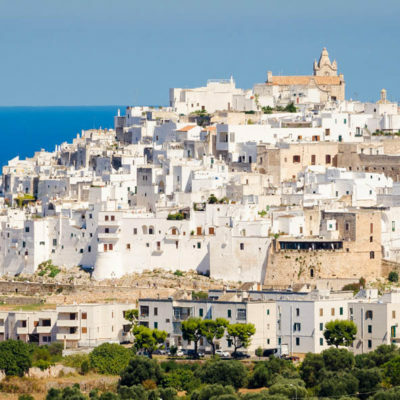 Ostuni appears as a mirage, perched splendidly on a hillside rising from a green plateau that’s covered with olive trees and that eventually dives into the blue of the Adriatic Sea. 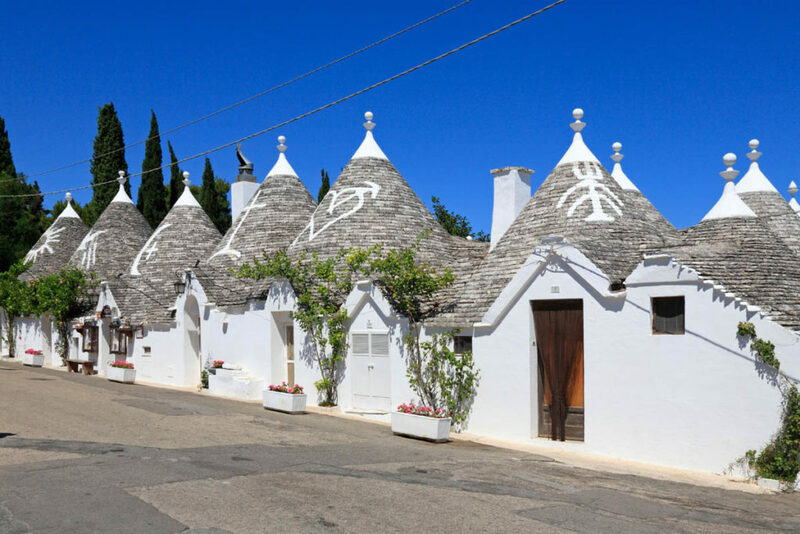 Stroll down the narrow streets and admire the beautiful courtyards and piazzas crowned with small white houses, artisans’ workshops and restaurants that prepare delectable roasts and flavorful seasonal vegetables. 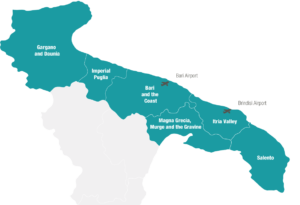 Life in The Itrian Valley is serene, filled with the fragrances and flavors of Italy at its purest. Take a break in the plain of Fasano and stop in one of the many masserie, historical manor farms that have been transformed into hotels and wellness resorts. No need for maps in The Itrian Valley as you wander through centuries-old olive groves and enchanting beaches. 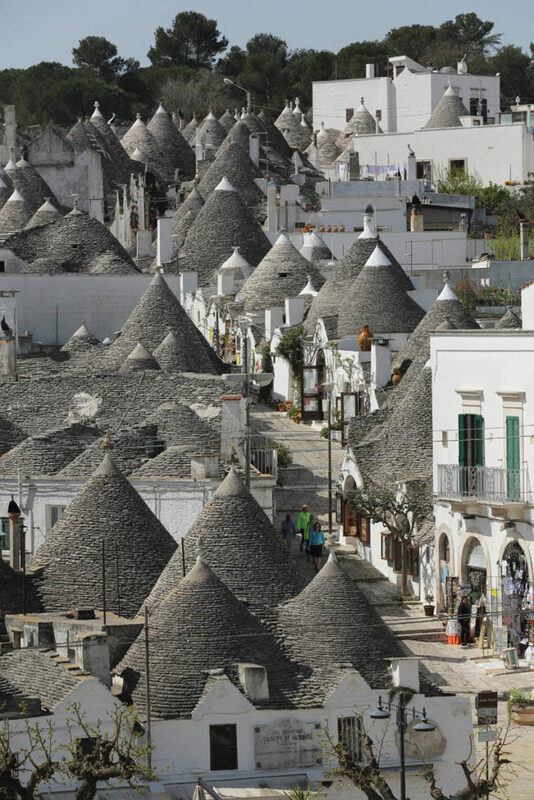 1 Ostuni (the white city) Ostuni (known as the White City) sits 218 metres above sea level. The fifteenth-century Romanesque-gothic Cathedral dominates the town while a series of churches and elegant houses embellish the old town, surrounded by white-washed walls with two ancient entrance gates, Porta Nova and Porta San Demetrio. 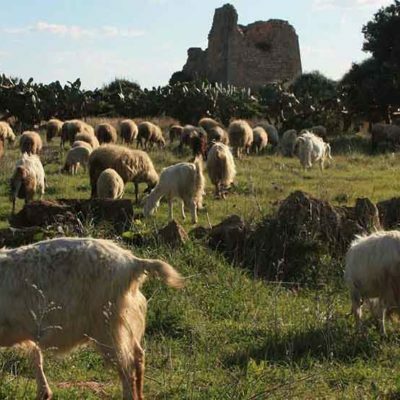 Ostuni’s countryside is dotted with masserie (farmsteads), most of them converted into farmhouses for holiday (agriturismi) and luxury resorts. 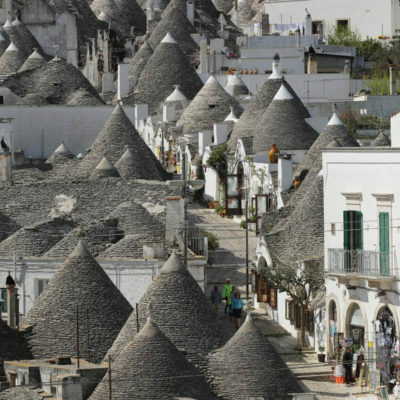 2 Alberobello In the heart of the The Itrian Valley you will find the many conical rooftops of Alberobello. A UNESCO World Heritage Site, the old town centre, which has also been awarded the Touring Club of Italy’s Orange Flag, is entirely composed of trulli, traditional drystone huts whitened with quicklime and capped by conical bare-stone roofs. 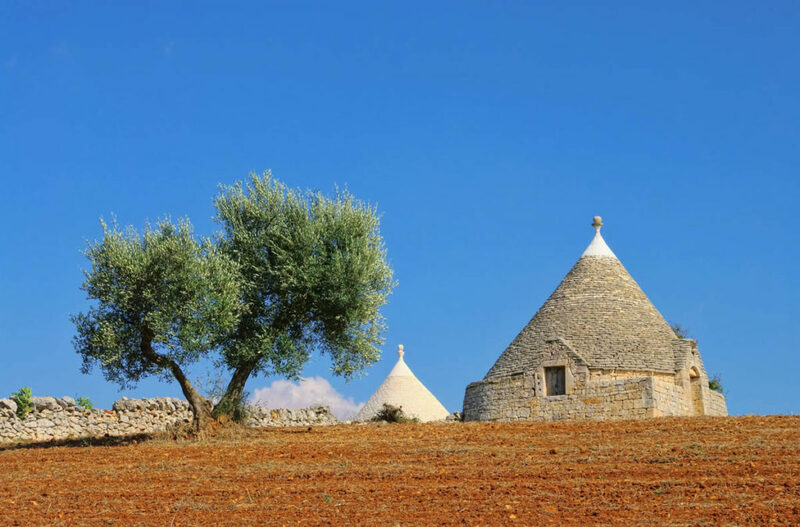 Crosses, pierced hearts, and zodiac signs decorate the roofs, maintaining the air of mystery that surrounds the trulli. 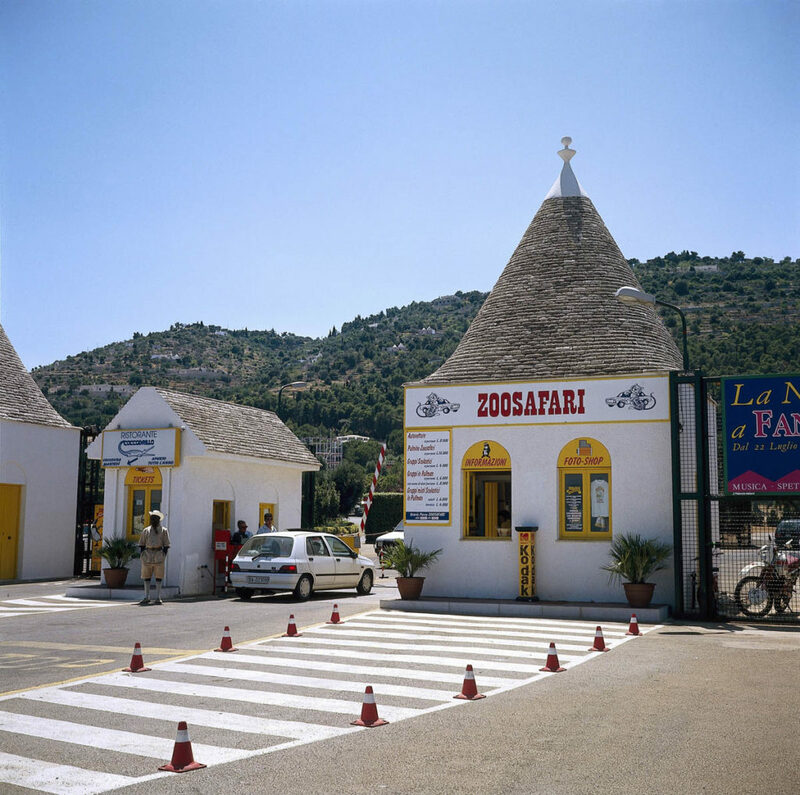 The Rione Monti, a maze of narrow winding streets with over 1,000 trulli, is the oldest part of the town, along with the Rione Aia Piccola. 3 Martina Franca Martina Franca is in the eastern hills of the Murge plateau, equidistant from the Ionian and Adriatic seas. Its name is derived in part from its devotion to Saint Martin, who saved the townspeople from enemy invasions, and in part from the time when Philip of Anjou offered the local inhabitants a tax exemption (‘franchigia’ in Italian). 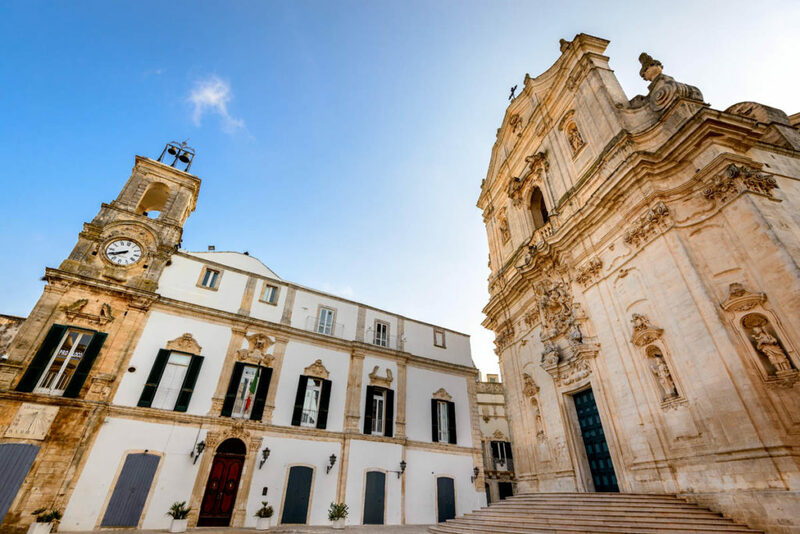 Discover the enticing baroque architecture of the Ducal Palace, Palazzo Martucci, Palazzo dell’Università, Palazzo Motolese, Palazzo Maggi, and Palazzo Ancona. 4 Zoosafari Fasano Visit Zoosafari, the biggest zoo in Italy, near Fasano. Admire the dolmen of Montalbano, still intact and probably dating back to the Bronze Age, around 2000-15000 BC. 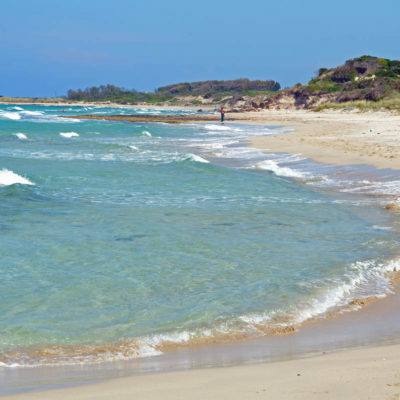 5 Torre Guaceto, a protected natural marine reserve Not far from Carovigno and San Vito dei Normanni you will find the Protected Marine Area of Torre Guaceto, stretching for 8 km between Punta Penna Grossa and the cliffs of Apani. The reserve’s landscape is characterized by coastal dunes. South of Torre Guaceto’s coastal watchtower, the shore is linear, consisting mainly of clay cliffs. But near the tower towards the northern side, the coast unravels into a series of crags with jagged edges, creating a fretwork of small inlets. 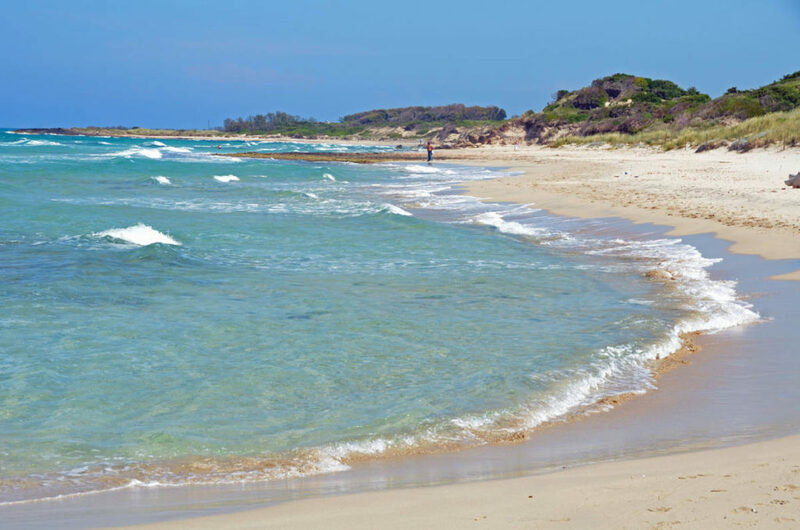 However, continuing towards Punta Penna Grossa, the shore becomes a sandy beach with shallow waters. Some amazing beaches to discover here including a gay and nudist beach. 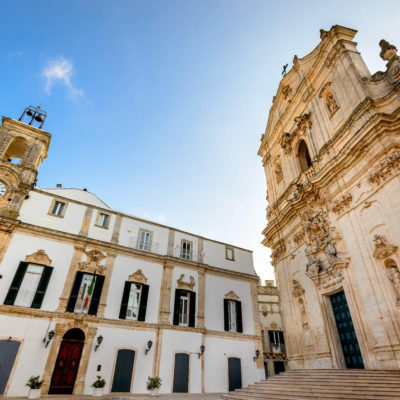 6 Cisternino Visit the old town centre of Cisternino and admire its many historical residences. The Governor’s Palace, a beautiful example of baroque architecture; the 16th century Bishop’s Palace; Palazzo Amati; Palazzo Lagravinese; and Palazzo Ricci-Capece with its Wind Tower are a few beauties to discover. On Easter Monday, the townspeople gather at the Sanctuary of the Madonna d’Ibernia, an archaeological site with Roman and medieval ruins. They bring along ‘u chrruchl,’ a dessert that’s said to bring good luck and is shaped like a small bag with two hard-boiled eggs (for the men), or like a doll with an egg in its belly (for the women).